While the story of the Japanese Occupation during World War II is the well-worn material of every Singaporean child's social studies textbook, one is hard put to find new ways of telling this age-old litany of horrors. 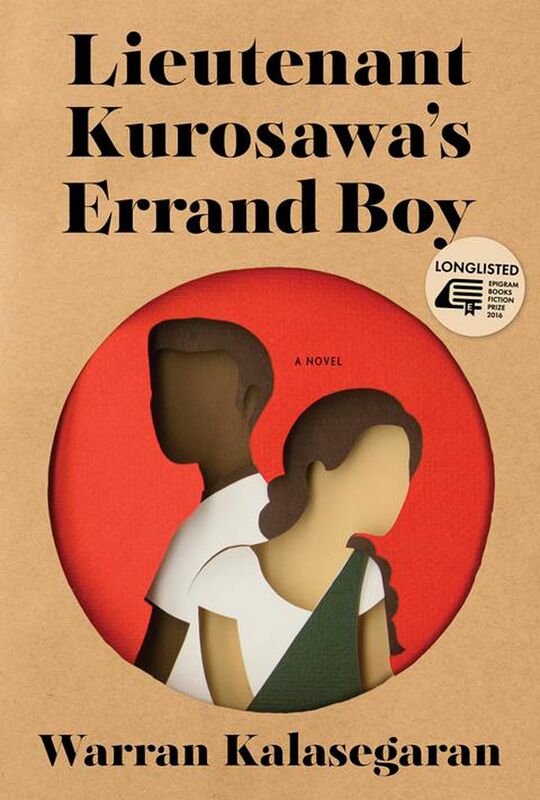 Civil servant and first-time author Warran Kalasegaran manages to do so in this coming-of-age narrative of a young Tamil boy who is forced to work for the Kempeitai, the Japanese secret police, and, in doing so, must renounce his name and the culture of his birth. The novel, which was longlisted for last year's Epigram Books Fiction Prize, weaves together two perspectives. The first is that of the child taken from his father and renamed Nanban by Japanese lieutenant Kurosawa Takeshi. In Kurosawa's employ, Nanban suffers beatings and whippings as his new master indoctrinates him into the conqueror's culture, teaching him to speak Japanese, learn their martial arts and, over time, to exercise the Kempeitai's brand of brutality against others, including his own people. He forms a strange relationship with Kurosawa, to whom he is a mixture of son and slave. This dark narrative is spliced with the brighter one of Papatti, a Chinese girl adopted by an Indian family who grows up in the wake of the war. Bullied at Tamil school for her light skin and small eyes, Papatti drops out and sets herself the new goal of being the No. 1 seamstress in Singapore. Her effort to help her illiterate neighbours remember their vote in the 1962 referendum - by sewing the letter A into their sleeves - puts her in the media spotlight and earns her the attention of two men - a rising politician and a down-to- earth dockworker. Though livelier than Nanban's, Papatti's story is no picnic either, set as it is against the racial tensions and economic uncertainties of 1960s Singapore. But her sharp tongue and plucky spirit make her a likable character and her perspective is a refreshing counterpoint to the unrelenting horrors one sees through Nanban's eyes. The novel tries to pursue a redemptive arc, but does not quite succeed, due to rushed execution and a too-tidy ending that does not go deep enough into the psyche of Kurosawa. It is also susceptible to the occasional motherhood pronouncement that sounds cribbed from a Member of Parliament's speech on Racial Harmony Day. What it does do, however, is ask the vital question of what it takes to belong to a culture when one looks like one should not, what one learns, what one inherits and what one chooses to keep. If you liked this, read: The Gift Of Rain by Tan Twan Eng (Myrmidon, 2008, $18.95, Books Kinokuniya), about the relationship between a mixed-race boy in Penang and the Japanese diplomat who teaches him aikido. Their loyalties to their countries, families and each other are torn with the onset of World War II, as the Japanese invade Malaya.